On 15 November, 2018 300 music students and their teachers will descend upon Waterford Institute of Technology to participate in Leaving Certificate workshops facilitated by staff and students of the BA (Hons) Music programme in the Department of Creative and Performing Arts. 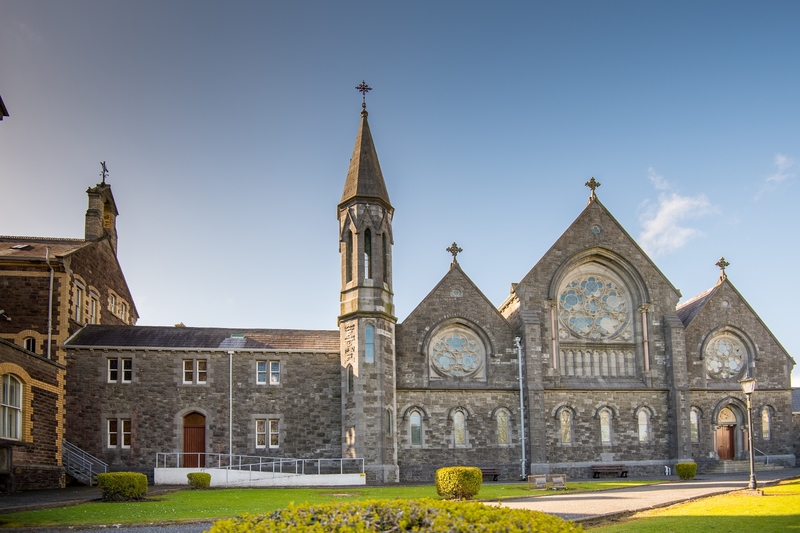 In the beautiful setting of the Chapel in the College Street Campus of WIT, visiting music students will participate in workshops on the Irish Traditional elements of the Leaving Cert exam with a live ensemble illustrating the points, and the performance practical, with focus on preparation, communication, and programming. Participants will have the opportunity to complete mock marking sheets for sample live performances. Music careers will also be a focus during the event with a presentation on BA (Hons) Music graduates and where they are now, in addition to what is involved in studying music at third level. Live performances by music students and staff from WIT will be interspersed throughout the event, culminating in a mass performance of "White Winter Hymnal" by all attendees. Leaving Cert Music students from Waterpark College, De La Salle College, St. Paul's, The Abbey, St. Angela's, and Newtown in Waterford. Wexford schools include Bunclody FCJ, Loreto College, and St. Peter's College. Students will be attending from Our Lady of Lourdes, and CBS Secondary School in New Ross. Schools from further afield include Patrician Secondary School Newbridge, St, Paul's College Raheny, Colaiste Chill Mhantain Rathnew, St. Leo's College Carlow, Gaelcholaiste CTI Clonmel, and Comeragh College Carrick on Suir. The event precedes WIT’s Schools Open Day on Friday 23 November at the end of College Awareness Week and a more general open day on Saturday, 24 November which typically attracts school leavers and their parents, as well as adult learners interested in applying as a mature student or attending our part-time, postgrad and Springboard courses. WIT recently celebrated 30 years of Music and a range of student and graduate stories can be read on the course page http://www.wit.ie/WD027. Graduates include members of award-winning band King Kong Company, originally founded by a group of friends who met while studying in WIT. In other news, the work of Music students will be experienced in a Waterford theatre between 10-17 November. A collaboration with Garter Lane Theatre affords students the opportunity to create sound designs for theatre in the most practical way possible, with industry mentoring and the opportunity for their work to be heard and used in a professional theatre production.